Manage reports provides a listing of already created user generated and embedded reports and is where to create new user generated reports. Both user generated and embedded reports are editable via tabs that appear on the edit report page. These edit tabs are the same for both types of reports with the exception that embedded reports do not have an access tab as the access is defined by Refined Data Solutions. User generated reports are built by users who have access to the report builder. These are users who have a limited administrator or site administrator role on the system. Other users can be granted the ability to view these reports if given permission to do so. This is done in the access tab at the report level. To create a new report, navigate to Site administration >>>> Reports >>>> Report builder >>>> Manage reports. A list of embedded reports automatically included by Refined Data Solutions will display. Scroll to the New report menu at the bottom of the page and enter the Report name. The name appears at the top of the report and in the my reports block. Specify the Source, which designates the type of data used and is selected from the drop down menu of predefined queries. If no options appear or a required source doesn’t appear, the report builder will need to be configured to include the source data required, which needs to be done by the Refined Data Solutions development team. 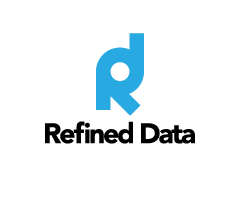 Contact us at support@refineddata.com to do this. Once the report source is designated, it cannot be changed for that report. To hide the report, check the box Hide in My Reports. If this is selected, the report will not appear on the ‘My Reports’ page for any logged in users and will hide the link to the report. Users with the correct access permissions may still access the report using the direct URL.